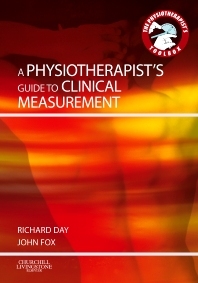 A Physiotherapist’s Guide to Measurement is an essential tool for both the student and clinician who will gain ready access to a wide range of common measurement techniques. This exclusive handy guide gives detailed images of the various measuring methods used in practice, such as goniometric measurement of all the main joints; lower and upper limb girth measurements; manual muscle testing of all major muscle groups; spinal measurements; spirometry (respiratory function); and many more! Each illustration is accompanied by concise but clear instructional text. Additionally, reference tables cover the aims, methodology and results of research, summarising studies on the reliability and validity of a particular measuring tool.